In the video above, Diddy speaks to some of the Young Money team and Lloyd at the 2010 BET Awards Post Show. Nicki Minaj gives her “thank you’s” from winning the “Best New Artist Award“, Twist speaks on how they stay together as a family, and Nicki tells us who is up next to drop an album. 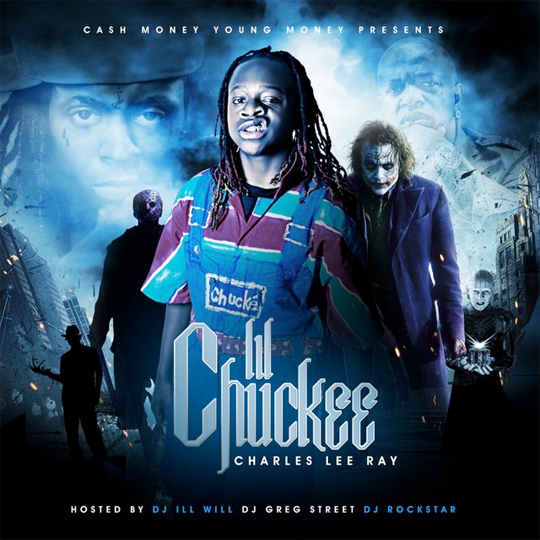 Here, you can download Lil Chuckee‘s mixtape titled “Charles Lee Ray” hosted by DJ Ill Will, DJ Rockstar and DJ Greg Street. Above is the front cover, and the tracklist is after the jump below. The tape features Shanell, Jae Millz, Cory Gunz, Bigga 500, Princess, Fiend, T-Pain, Roscoe Dash, Mack Maine, Jaycee Payaso, Sean Garrett, Lil Twist, Nicki Minaj, Gudda Gudda, Short Dawg, Jody Breeze, Joey Da Y, Fiend, PNC, Jack Spratt, Baby Sis, Issa, G Fresh and Travis Porter. Check out the official music video for DJ Khaled‘s “All I Do Is Win Remix” single featuring Nicki Minaj, T-Pain, Rick Ross, Fabolous, Fat Joe, Busta Rhymes, Diddy, Swizz Beatz and Jadakiss. Khaled‘s Victory album is in stores now, and don’t forget to leave a comment below with your thoughts on this video. Here is some behind the scenes footage from G-Fresh‘s “Nice Day, Nice Night” video shoot featuring Lil Chuckee and Travis Porter. If you missed this single, you can download that here! Bonus: Hit the jump to see some more behind the scenes footage from Sean Garret’s “She Geeked” video shoot featuring Tyga and Gucci Mane courtesy of Lil Chuckee TV. Not only did Young Mula win four awards last night at the 2010 BET Awards, Nicki Minaj and Drizzy Drake from YME performed live too. In the video above, Drake performs “Fireworks“, “Over“, and then his latest remix with Young Jeezy titled “Lose My Mind“. After the jump, you can watch Nicki Minaj perform “Hello, Good Morning Remix“, “My Chick Bad”, and “All I Do Is Win Remix” with Diddy-Dirty Money, T.I., Rick Ross, DJ Khaled, Ludacris, Busta Rhymes and T-Pain. Young Money Wins 4 BET Awards! Young Money came home with four awards last night from the 2010 BET Awards. Drake won an award for “Best Male Hip Hop Artist“, Nicki won two awards for “Best Female Hip Hop Artist” and “Best New Artist“, and the whole of Young Mula got an award for the “Best Group“. You can see a video above of Nicki Minaj accepting her “Best Female Hip Hop Artist” award, and a video of Drizzy accepting his “Best Male Hip Hop Artist” award after the jump. Congratulations to the best team in the game right now, you all deserved it!